They Call Themselves "Nano-Mads", Can't Agree More! Home The Dope TE Exclusives They Call Themselves “Nano-Mads”, Can’t Agree More! They Call Themselves “Nano-Mads”, Can’t Agree More! Three friends, one Nano, 13 countries and one cause! 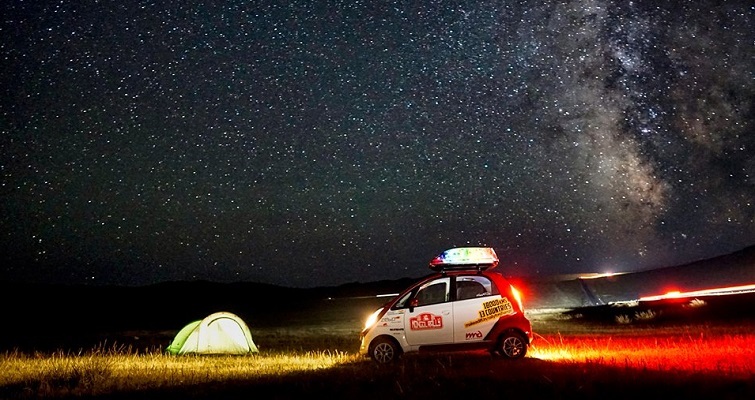 Can you imagine driving in a Nano outside the city? No? Well, I have a new bedtime story for you. 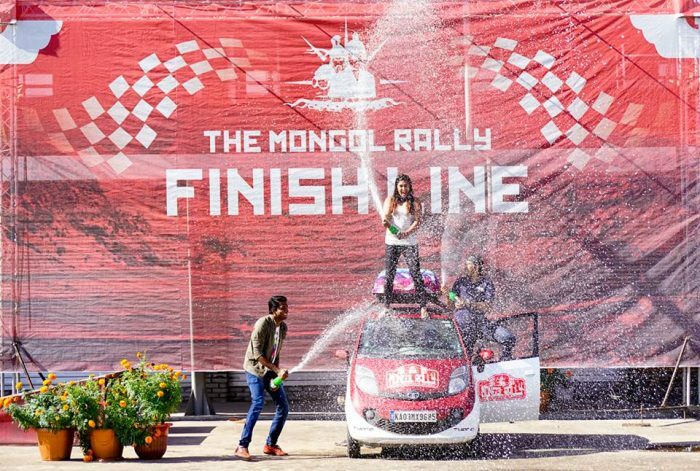 It is a story about three friends who drove from London to Mongolia in a TATA Nano for a good cause. Yes, you heard it right! Sunaina Pamudurthy, Bhairav Kuttaiah and Binoy John are the three insanely adventurous people who took part in a rally to bring a change! We got a chance to chat with one of the Nanomads. 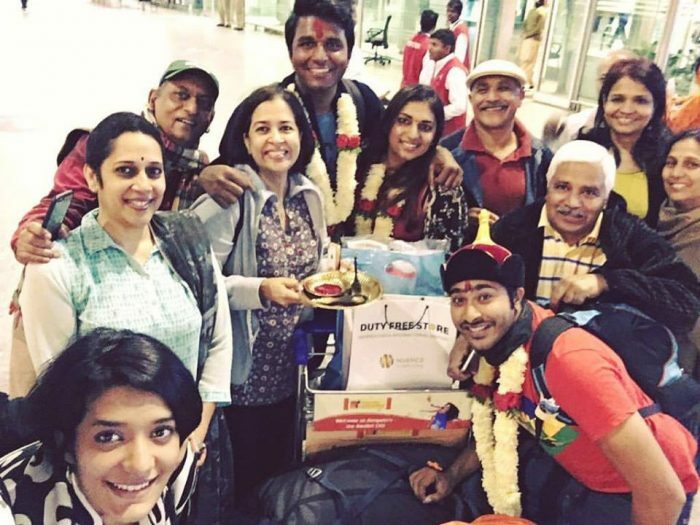 Sunaina shared a few experiences, hurdles, memories and smiles with us. Keep reading to know their dreams that these three turned into reality. Hi Sunaina! Firstly, how did all this start and when did you plan to not think anymore and just go for it? At the risk of sounding too millennial, it all started on a WhatsApp group. But fortunately, it wasn’t one of those bad forwards or fake news! 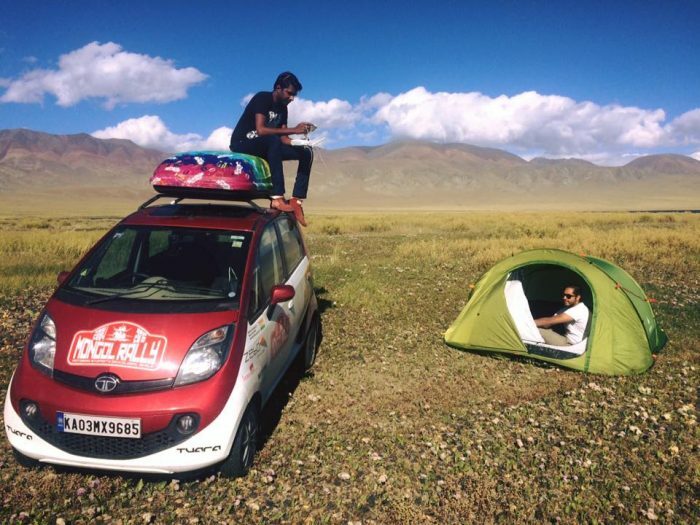 Bhairav had shared some details of the Mongol Rally with Binoy and me. The next thing you know, we’re sitting at my house with a map of Eurasia and charting out our route! So the prep started almost a year in advance. Why did you choose TATA Nano for your journey? Were you convinced that it will survive the ride? 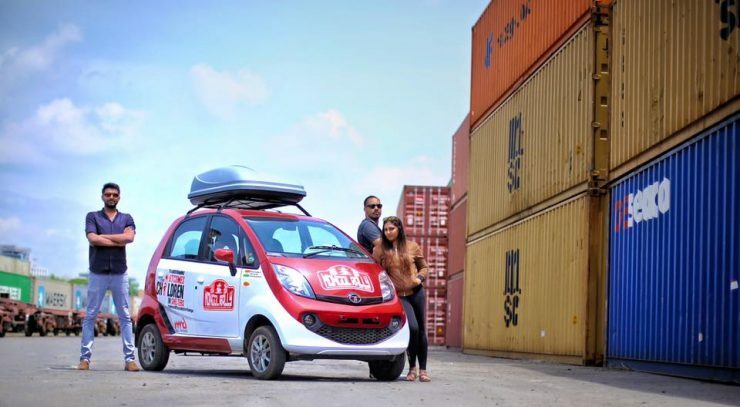 The Rally rules required every team that participated to choose a car below 1000cc and we were sure that we wanted to pick an Indian-make car since it would be the first time in the history of the Rally that this would happen. And yes, we were confident of the Nano making it to the end. A bit more than the team at Tata Motors itself! How sure were you that you will be able to finish the voyage? The three of us were sure from the very start that we would make it to the finish line, even if it meant being towed by the fellow teams. Before the flag off, we had met about 300+ teams who were also taking part and none of them believed we would survive Mongolia with those tiny wheels. When you told your friends and family that you are doing something so sane like this, were they supportive enough? Oh, our families were our biggest cheerleaders! We thoroughly enjoyed the prep work because they too were quite invested in this and they were proud that we followed through with this insane idea. Friends, of course, were thrilled to hear about it. Each of them contributed heavily in spreading the word about the fundraising campaign and getting more people involved, it was really heartwarming. We got to know that Ratan TATA left you a note wishing you luck. Is it true? What did the note say? Yes! We were ecstatic when we woke up to Mr Ratan Tata’s email. He wished us luck for the journey and seemed quite pleased that we chose the Nano to drive across 13 countries to raise awareness about children in shelters in India. This meant a lot to the three of us. How many Kilometres were there to cover? Each team could pick their own route. 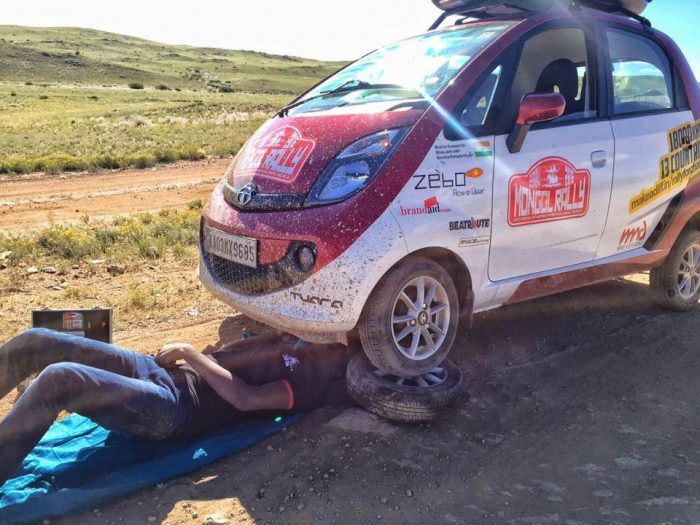 We covered a humble distance of 18200 km, traversing 13 countries over ungodly terrains. Yes indeed, this very short distance took us only 48 days on the road. What was the cause behind the journey? One reason the Mongol Rally made it as our pick was that it was equal parts adventure and equal parts charity. We collaborated with Make A Difference, a non-profit working towards ensuring equitable outcomes for children in shelters in India. 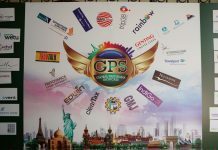 We had volunteered with them in the past, believed in their solution and loved how vibrant the team was. So partnering with MAD was the obvious choice. And I’ve continued my journey with them, volunteering at the Bangalore chapter. What paperwork was needed for this? For us mortals, the regular- visas, travel insurance and international driver’s license, which was all quite hassle-free. Our champion Nano, however, had a lot more. The Carnet de Passage was the primary one, so we wouldn’t face trouble with customs while crossing countries. Insurance for the car for all the countries we planned on covering was something we managed to get hold of once we reached London, after getting possession of the car. And since we shipped our Nano from India to Southampton and back from Vladivostok, documentation for the shipping process had to be taken care of in advance. We carried 3 copies of each document with us. 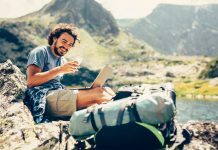 Where did you stay during the journey? Where were the stoppages? A well reputed global accommodation platform who wished to sponsor our stay for the entire journey backed out few weeks before the start. In retrospect, this was the best thing that happened to Team NanoMADs. We were hosted by local families and friends across most countries who opened their homes and heart to us, their hospitality was beyond overwhelming. We got a chance to truly live like locals. There were also nights when the three of us slept in the Nano, couch-surfed, showered in public restrooms, we checked all the boxes! Interestingly, we spent zero money on accommodation until Mongolia. We had no other choice than to pack light since we picked the Nano. The tech equipment like the drone, chargers, battery, cameras, etc. along with the spare parts took up a fair bit of space and weight. We couldn’t afford to make the car heavier since offroading in Mongolia was part of the plan. And nope, no curling iron, natural beauty all the way to the finish 🙂 You may want to check with Binoy though, Bhairav and I honestly think he carried more hair gel than Ronaldo! Any essentials that you were carrying with you for the journey? Food or anything specific? And man, we were on the worst diet. While we got fed loads of delicious local food by our beautiful hosts who even packed us goodies for the next leg, our survival food in the car consisted of Snickers, croissants, and gummy bears. Lots of it. Maybe we need another Mongol Rally to get this bit right. Any hurdles during the journey? Of course. Mongolia was mostly only hurdles but also the best country on the Rally for this reason. Getting stuck in river beds and desert sand, to our wheel, almost breaking, tyres wearing out, broken sump-guard, we experienced it all. Another major one was when the Russian border official refused to allow me to cross the Latvia-Russian border due to a visa complication on my passport. Bhairav and Binoy carried on since we had to make it to the finish line on time, while I had to fix a few things with the Embassy and fly to Moscow to meet my co-crazies. Any bad day you had? What was your motivation to reach the finish line? Yes. While I was at Riga, trying to get my visa issue fixed, the officer at the Embassy told me that I would have to fly to Delhi and get it approved. At that moment, Mongol Rally 2017 was on my mind. Motivation was really just being reunited with the team and completing the fundraiser for Make A Difference. The kind of support our families and friends extended kept us going all the way until the end. Did you break any traffic rules? You can tell us, we won’t tell anybody! Multiple times and in multiple countries. The French cops were a bit stern but the Italians loved us. 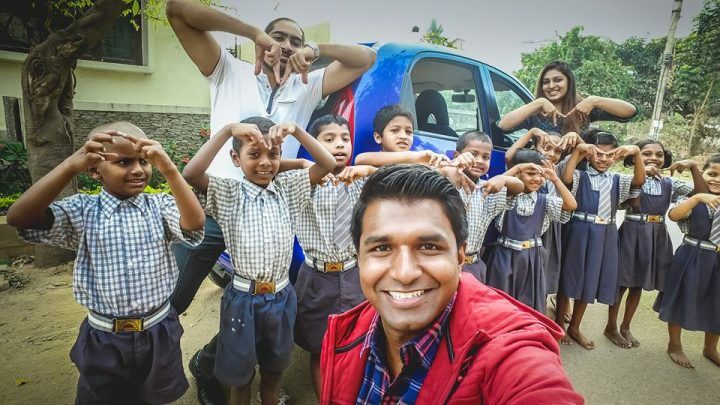 They too were excited to see the Tata Nano in their country and hear our story. Since most of the violations were quite minor, they were kind enough not to charge us any fee and also stopped to take some pictures with us. 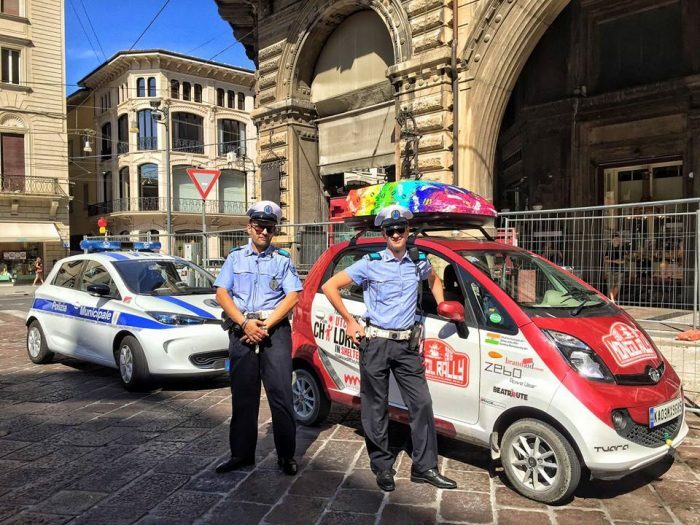 One of the cops from Bologna is now our friend on Facebook so we built some local contacts along the way! Did you make any friends during the journey? Lots. Friends who are now family. 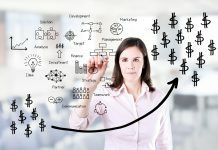 At any point in time did you feel that you want to quit? There were hard times. Mongolia drained us physically and mentally. But quitting just wasn’t an option. What was the feeling when you were about to finish the journey? Like when there were few kilometres left, what was that feeling? We were sleep deprived and running on caffeine. Since we had lost few days due to my detour in Latvia, we really had to pace it up in the last few days to make it within the dates our Mongolian and Russian visa was valid for. So when we saw the finish line inching closer on Google Maps, we were relieved. Our car was battered, wheel alignment skewed, we were just one pothole away from being towed to the finish line. Sigh! The last leg was quite dramatic. Can you describe your journey in one word? What did you feel when you touched the finish line? And to be honest, when we touched the finish line, we were plain tired. We reversed back into the parking lot and crashed for a good few hours until we got woken up by the other teams who couldn’t believe that the Nano had made it! This was their life-altering experience and when they touched the finish line, they altered many other lives. We are proud to have people like them who don’t just hope for change, they become the change! You can follow them on Facebook and Instagram. They are known for being Nanomads everywhere!